Standards are a lovely thing, but hard to achieve, it depends on one thing, everyone actually using it, otherwise it’s just a rule no one cares about. Where are [X] save games located? There are a couple of common directories used but I think as game developers we could do a bit better and using a common location. 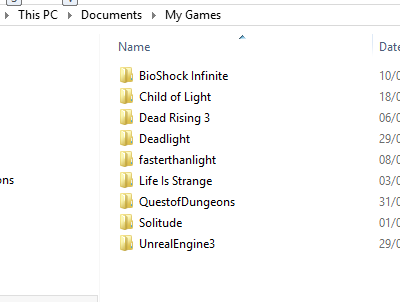 This is a bit messy, you have your games mixed with other software, if you have 5-10 games it’s hard to manage since it gets in the way of your work files. 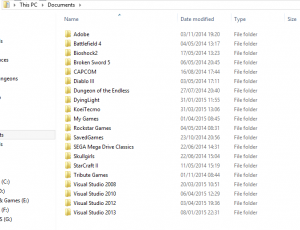 that can lead to lost save files as some cleaning software might erase them, also it’s hard to find. And lately I’ve been noticing that some Steam games store them directly on the Game Directory itself, that’s not very intuitive as well. But from my research it’s not very used, I think one of the reasons is that older Windows versions didn’t had them, like Windows XP and it wasn’t very adopted. 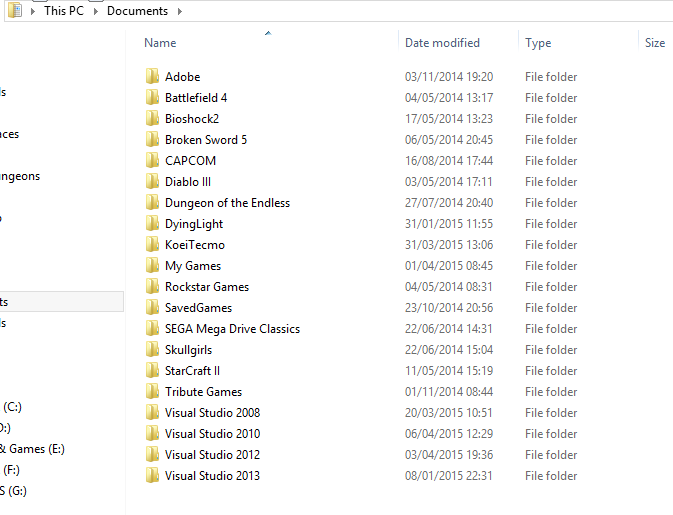 I also noticed some games creating their own versions of “common” folders inside Documents, like “SaveGames” or “SavedGames”. I did noticed that more devs are using a solution that I personally like, and I adopted it for my last game. As you can see some developers already use it, from indie developers to AAA studios. This way, everything is inside your Documents, the user can easily access, backup, restore, everything is inside that folder. Even if a studio were to create a folder for its own brand, that would be ok too. How can you get the current user documents location you ask? So my vote is for this solution.